From the magnificent Kenai Fjords to the immense Denali National Park, this independent rail tour takes you to the best of Alaska. 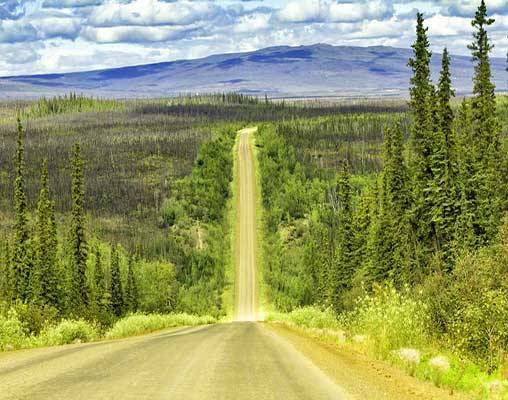 Ride the historic Alaskan Railroad through breathtaking scenery and visit the historic towns that once housed Alaska’s first frontiersmen. Welcome to Anchorage! This thoroughly modern city is the economic and social hub of Alaska, with nearly half of the state's residents living in the vicinity. 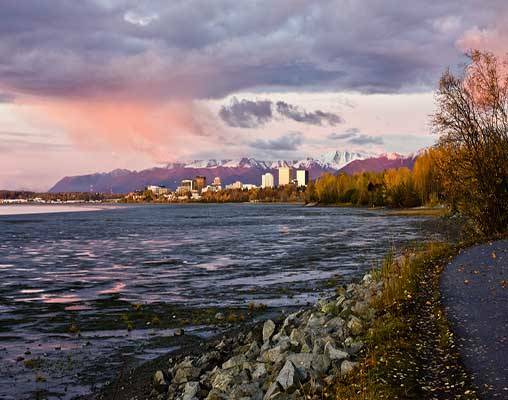 Take the day to explore Anchorage on your own. Overnight Anchorage. Today, travel from Anchorage to Seward on Alaska Railroad's Coastal Classic train. On the 4-hour journey, sit back, relax, and enjoy the natural beauty outside your window before arriving in Seward. 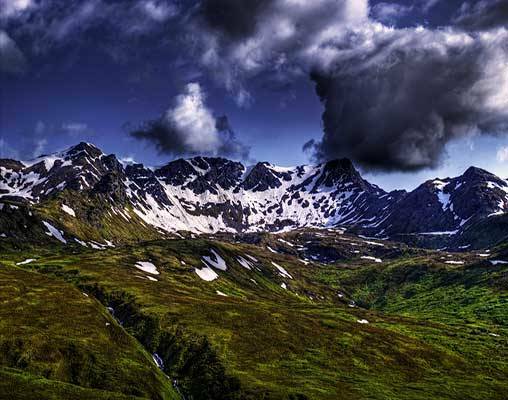 Named after the Secretary of State who brought Alaska into the Union, Seward is a scenic wonderland. The town sits at the edge of the Kenai Peninsula on Resurrection Bay and is the perfect gateway to Kenai Fjords National Park. Overnight Seward. Begin the day with an exciting 6-hour cruise through Kenai Fjords National Park. From your ship, you'll be able to see the contours of glaciers and vast expanses of lush forest. If you're lucky, you may even see a humpback whale breaching. Later, return to Anchorage by train, where you'll have another evening to experience all this bustling city has to offer. Overnight Anchorage. Today, board the Denali Star bound for the tiny, unique town of Talkeetna. 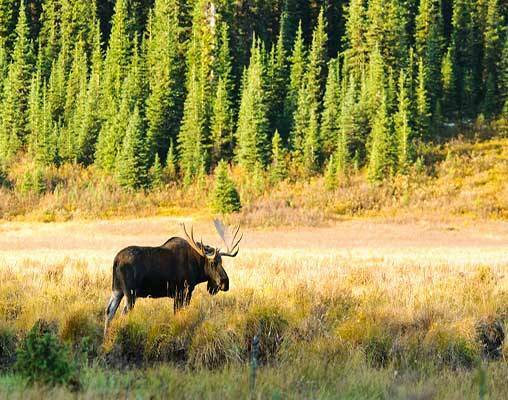 From Talkeetna, you'll set out on a thrilling wilderness jet-boat tour through this wildlife-rich region. Keep an eye out for nesting bald eagles and beavers, and learn about the area's history and wildlife from your experienced tour guide and Naturalist. Overnight Talkeetna. Travel today from Talkeetna to Denali National Park. This immense park is a land of extremes. 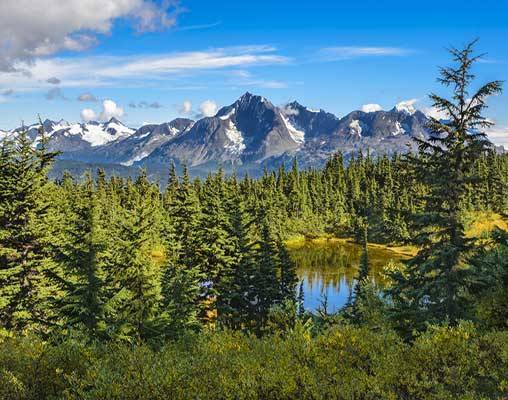 Here, you'll find the highest peak in North America, Denali, a formidable grizzly bear population, soaring bald eagles, and unparalleled scenery as far as the eye can see. Overnight Denali. 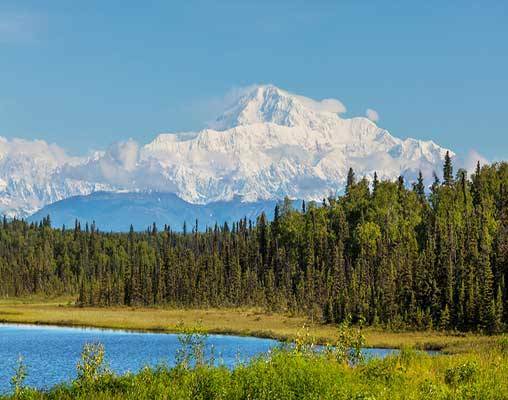 On today's comprehensive bus tour, delve deep into Denali National Park. See wildlife, discover unbelievable photo opportunities, and learn about the history of this immense and wildly diverse region. This evening, board the Denali Star bound for Fairbanks, the largest city in Alaska's Interior. Overnight Fairbanks. Tucked away in the heart of Alaska's impossibly beautiful interior, Fairbanks is quintessential Alaska. Here in the Golden Heart City, you can meet an endless range of fascinating people, peruse Native art and jewelry, and maybe even see the Northern Lights. During today's sightseeing tour and Sternwheeler Riverboat Tour, you'll explore Fairbanks and discover its Gold Rush history and scenic delights. Overnight Fairbanks. Fly today from Fairbanks to coastal Anchorage. Upon your arrival, transfer to your hotel and take the rest of the day and evening to explore lovely Anchorage. Overnight Anchorage. Say goodbye to wild Alaska! Your tour ends today in Anchorage. The Coastal Classic Train is a local favorite that winds through the stretch of wilderness between Anchorage and Seward. A string of massive glaciers visible from the track enriches the journey. This train travels to the shores of Resurrection Bay for whale watching, sea kayaking, tidewater glacier viewing, fishing, and dog sled rides. Hotel accommodations include Clarion Suites or Comfort Inn, Anchorage; Harbor 360 Hotel, Seward; Talkeetna Alaskan Lodge, Talkeetna; Denali Bluffs Hotel, Denali and River's Edge Resort, Fairbanks. Train accommodations are in Adventure Class. Adventure Class cars offer comfortable seating and large picture windows. Open-air vestibules between railcars provide an opportunity for fresh air and excellent photo ops. Adventure Class guests are encouraged to travel between railcars, whether to take advantage of the open seating in our Vista Dome cars or visit the Wilderness Café. Hotel accommodations include Hilton Hotel, Anchorage; Harbor 360 Hotel, Seward; Talkeetna Alaskan Lodge, Talkeetna; Grande Denali Lodge, Denali and River's Edge Resort, Fairbanks. Train accommodations are in GoldStar Class. GoldStar Class is a premium class of service offering passengers an exceptional way to travel across Alaska. Glass-dome ceilings allow for panoramic views as Alaska unfolds along the tracks, and an outdoor, upper-level viewing platform -- the only of its kind in the world -- offers fresh air and an excellent vantage point for photos. On the lower level of GoldStar railcars, passengers enjoy a full-service dining room; GoldStar tickets include meals, all soft beverages and two complimentary adult beverages per trip for passengers over 21. Click here to view testimonials for Tour Alaska by Rail. We loved how the trip was arranged, never too much time no the train, just a great balance of travel and exploration. Very well coordinated. Everything went smoothly with the vouchers. 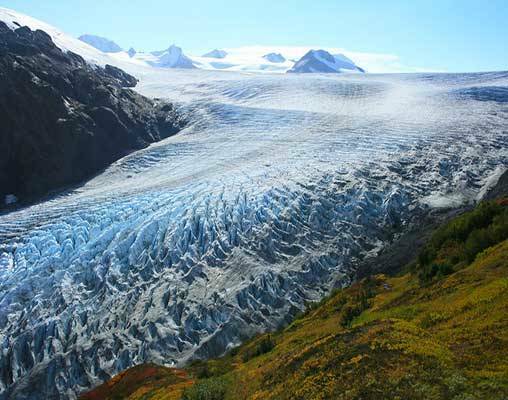 We saw as much as we possibly could and experienced the best Alaska had to show us! Enter your details below if you would like to be notified when 2020 dates and prices are available for Tour Alaska by Rail.